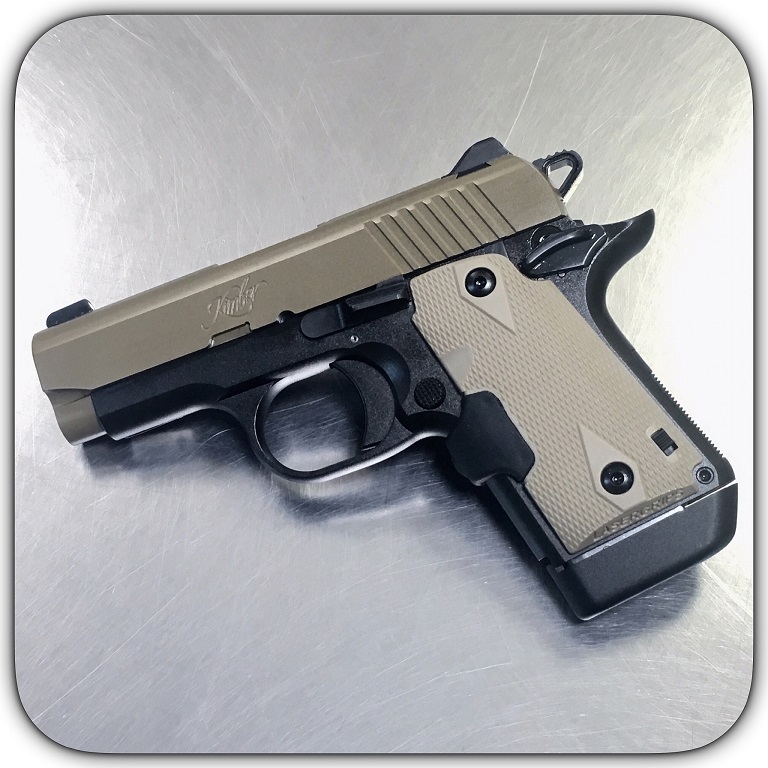 Kimber Micro 9 Desert Tan Pistol With Crimson Trace Red Lasergrips 3300168. This is the newest 2017 Kimber Micro 9 concealed carry pistol, introduced at SHOT SHOW. Ships with Kimber gun rug & 1 extended 7 round magazine & 1 - 6 round flush fit magazine. Micro slides are made to the tightest allowable tolerances, with barrels machined from stainless steel for superior resistance to moisture. All Micro frames are shaped from the finest aluminum for integrity and strength. In many respects a miniature 1911, among the most important Micro 9 design advantages is a single action trigger with the kind of short, smooth pull that ensures accuracy and builds confidence. The thumb safety, slide release and magazine release are pure 1911 as well. Standard features include a lowered and flared ejection port for flawless ejection and a beveled magazine well for fast, positive loading. Sights are steel – not plastic – and mounted in machined dovetails for additional integrity.